Colin Mathers. Shall I try Australia? A history of the Mathers family in Ireland, Scotland and Australia from the 17th to the 21st century. Lulu.com, Australia, 2010 (148 pages). My great-grandfather, James Mathers, was born in Armagh, Ireland, in 1852 and moved to Scotland in the 1860s where he married Margaret Melrose. They migrated to Australia with their six surviving children in 1897. 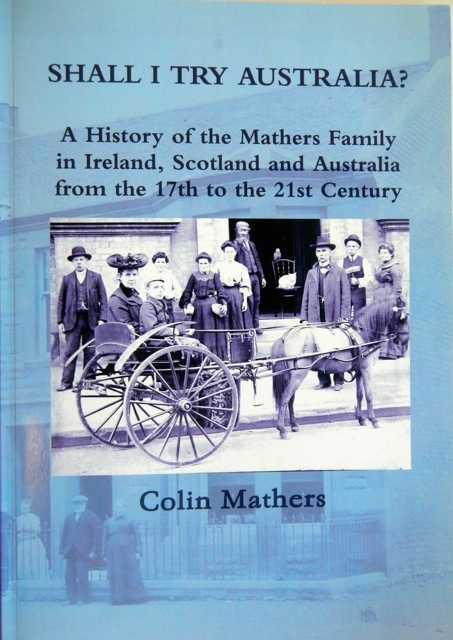 This book documents the history of the family in Australia, and traces the Mathers and Melrose ancestors in Ireland and Scotland back to the 1700s and earlier. The previous generation, born around the 1820s, were almost all illiterate labourers and coalminers. The subsequent history of the Mathers family encapsulates the dramatic changes in the educational, cultural and economic opportunities brought by the Industrial Revolution in Britain. This edition of the book was available only to Mathers family members, and a second edition is planned. The second edition will include substantial additions and new information, not least because it has recently been discovered that James Mathers had an older sister, who migrated to Australia earlier, and whose existence was unknown to his descendents. Murray CJL, Lopez AD, Mathers CD. 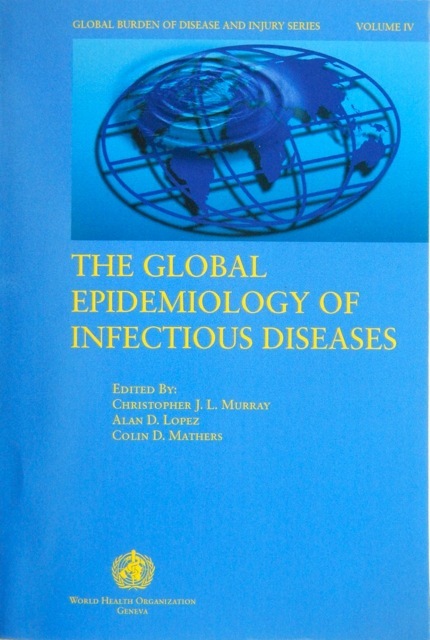 The Global Epidemiology of Infectious Diseases. Geneva: World Health Organization, 2004 (391 pages). Available from http://whqlibdoc.who.int/publications/2004/9241592303.pdf. 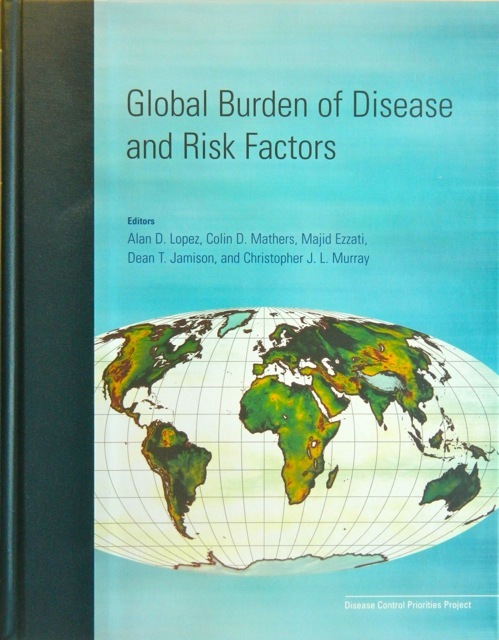 The fourth volume of the original planned 10 volume series of the original Global Burden of Disease Study. Volumes 5 to 10 were never published. Robine JM, Jagger C, Mathers CD, Crimmins EM, Suzman RM (eds.). Determining health expectancies. John Wiley & Sons, Chichester, 2003 (428 pages). 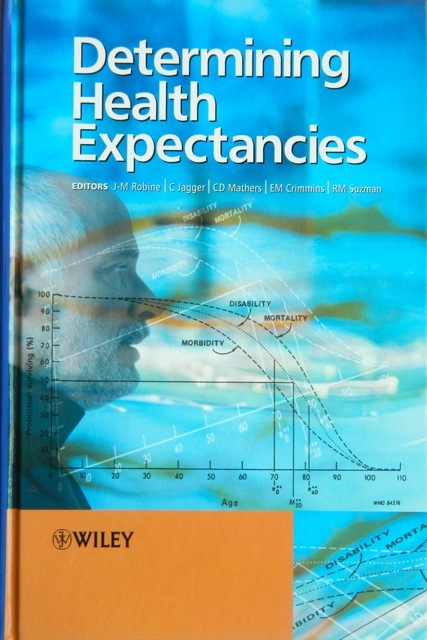 A comprehensive text on methods, results and applications of health expectancies, drawing on more than ten years work of the REVES network on health expectancy. Murray CJL, Salomon J, Mathers C, Lopez A (eds.). 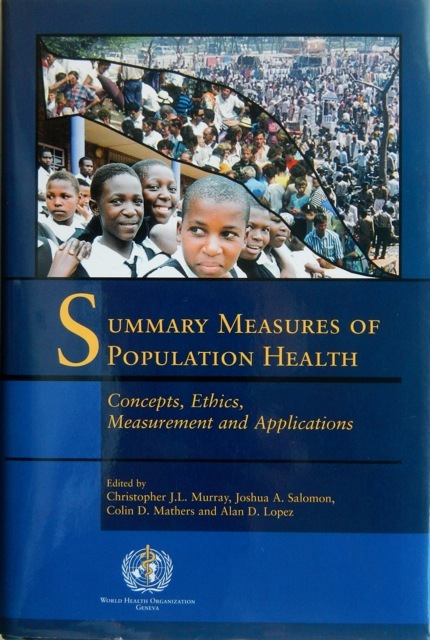 Summary measures of population health: concepts, ethics, measurement and applications. Geneva: World Health Organization, 2002 (770 pages). A fundamental reference book addressing a wide array of critical issues regarding the development and application of summary measures of population health. Contributors included leading experts in epidemiological methods, ethics, health economics, health status measurement and the valuation of health states. Colin Mathers, Theo Vos, Chris Stevenson 1999. 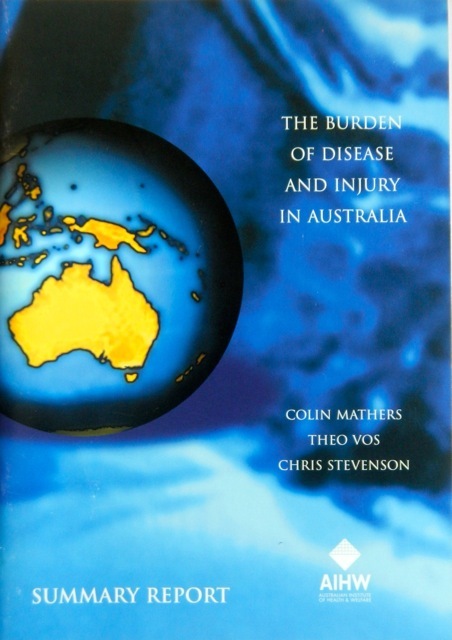 The burden of disease and injury in Australia. Canberra: Australian Institute of Health and Welfare. Colin D. Mathers, John R. Bear. Shimete – the Jujutsu Art of Strangulation. International Jujutsu Institute of Australasia, Canberra, 1998 (200 pages). Due to the nature of the techniques described in this book, it was published solely for senior students in the ryu and is not publicly available. Colin Mathers, Neil Phillips. 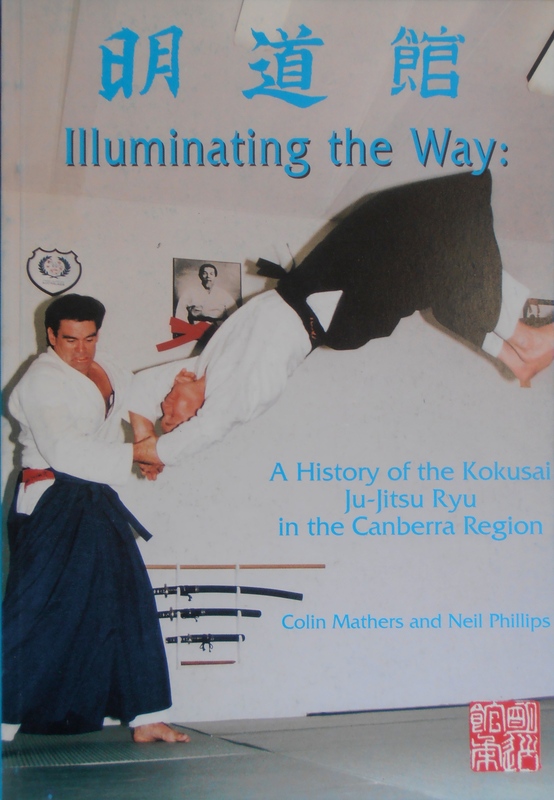 Illuminating the Way: A History of the Kokusai Ju-Jitsu Ryu in the Canberra Region. Australian National University Ju-Jitsu Club, Canberra, 1993 (100 pages). Starting with the origins of ju-jitsu in feudal Japan, this book describes how the ju-jitsu and kuatsu arts of the Kokusai Ju-Jitsu Ryu were brought from Japan to Malaysia in the 1930s by Professor Kam Hock Hoe (1903-1990) who passed them on in the 1960s to Australian students. The book includes detauls of Professor Kam’s life, as well as rare historical photos. It also describes and illustrates the dynamic techniques of this authentic ju-jitsu art, as taught in the Canberra region during the period 1970-1993. This book is now out of print. This entry was posted in Books and tagged Colin Mathers, family history, Mathers family history by colinmathers. Bookmark the permalink.